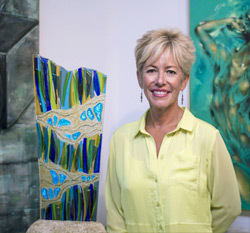 “Inspiration for Cathy Shepherd’s handmade fused glass art is all around her, especially as she scuba dives in Tahiti and cross colorful, tropical destinations in the world. Bright, ocean-specific hues such as turquoise blues, pearly pinks, emerald greens, and fiery oranges bring Cathy’s artistic vision to the glass canvas as she layers multiple colors into one fabulous piece. Her work stands out by using many intense colors instead of just one. 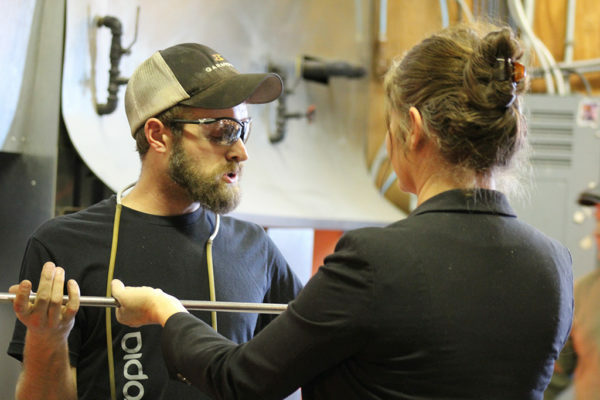 Vetro Glassblowing Studio & Gallery, 701 South Main Street, also located at the train depot, surrounds you with a cascade of color in vibrant glass sculptures and delightful light filled objects. The Vetro gallery houses many fine glass artists’ work, glass jewelry, and over fifty consignment artists. The performance of the glass blowers choreographing their skills in front of the glowing glass creations is always a source of entertainment. 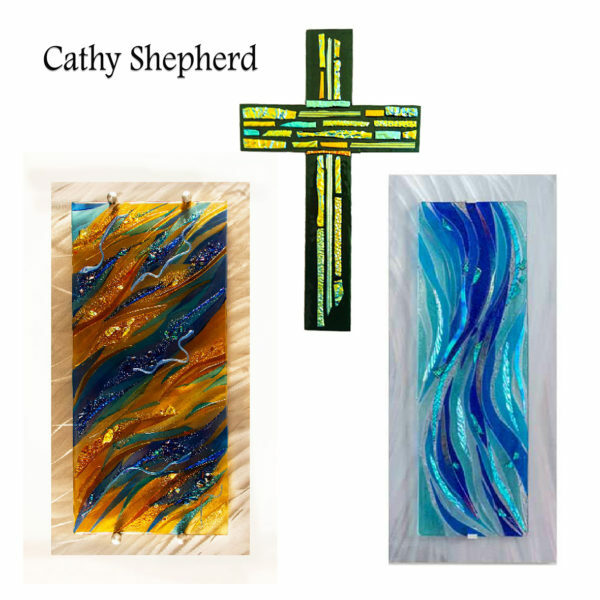 So do not forget to come by Vetro and check out our Spotlighted Artist Cathy Shepherd!